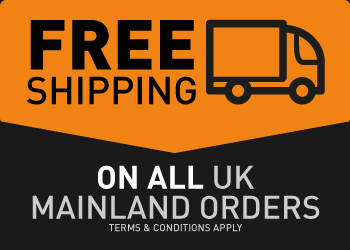 Available in Natural Raisin, Cinnamon & Raisin and Banana & Mango and for a limited time Christmas Spice flavours. Carbohydrate-enriched breakfast to support recovery during higher training loads. 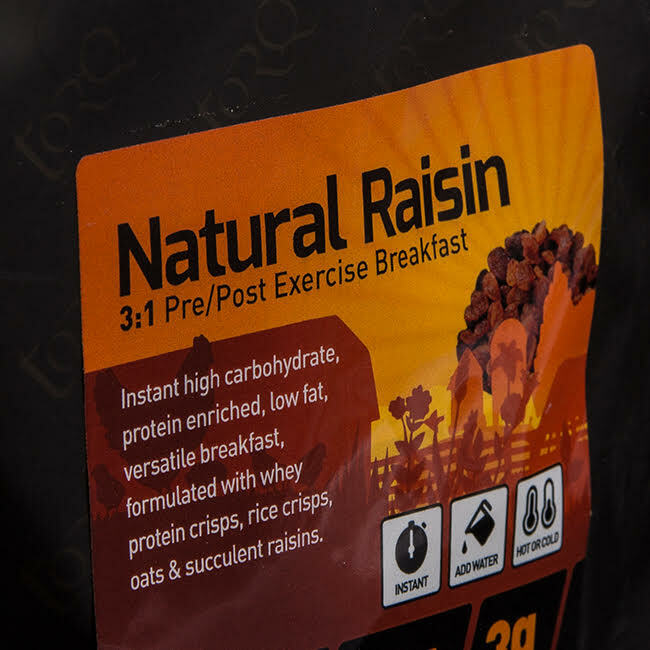 TORQ’s 3:1 SNAQ Breakfasts have been developed alongside our long-standing Performance Nutrition range. 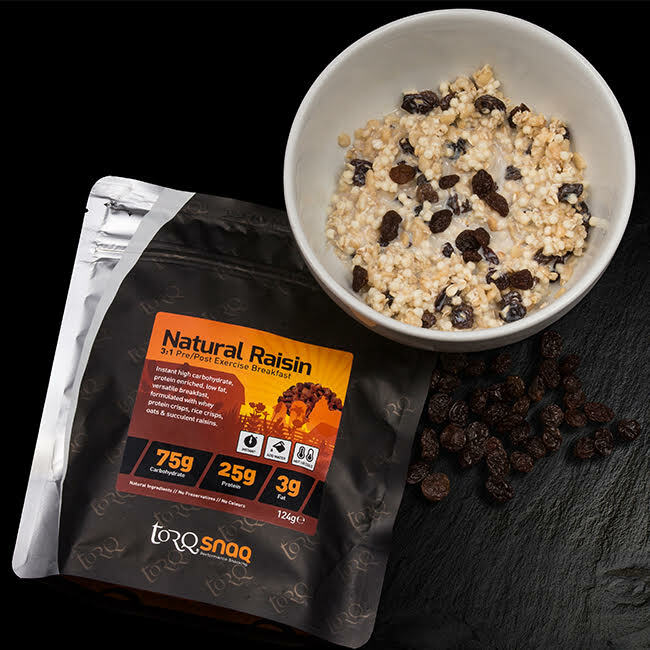 Formulated at the same 3:1 Carbohydrate:Protein ratio as the TORQ Recovery Drink, our 3:1 SNAQ Breakfasts and Meals offer a comprehensive, standardised approach to pre or post-exercise nutrition and can be used in conjunction with, or independent of our recovery drink. Each 3:1 SNAQ Breakfast provides 25 grams of high quality protein with all the essential amino acids responsible for muscular remodelling and cellular adaptation in the hours after exercise, along with a generous supply of carbohydrate, promoting the replenishment of liver and muscle glycogen enabling you to perform optimally, day on day. 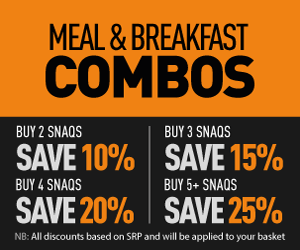 Our 3:1 SNAQ Breakfasts can be enjoyed at any time of day either before or following a training session. Simply add contents of the pack to 150ml of cold or boiling water and stir. Your SNAQ Breakfast is now ready to eat – hot or cold, it’s your choice. For optimal benefits during periods of high exercise load, use this 3:1 SNAQ Breakfast in conjunction with TORQ Recovery Drink. Consume recovery drink within 15 minutes of exercise completion and follow up with your 3:1 SNAQ Breakfast or 3:1 SNAQ Meal an hour later. 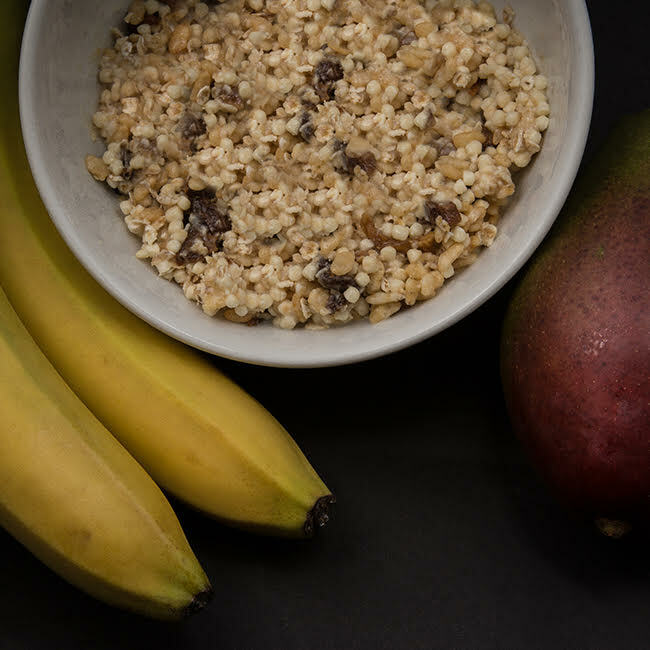 During periods of less demanding exercise, consume your 3:1 SNAQ Breakfast as soon as possible after exercise as an alternative to a recovery drink. The body has a very limited amount of endogenous carbohydrate, stored in the muscle and liver. In total these carbohydrate stores equate to around 5% of the body’s total energy stores, however carbohydrate is the preferred fuel source and during exercise can equate to over 50% (or more) of total energy expended, depending on the intensity and duration of the exercise. These limited stores, combined with a limited capacity to absorb and use carbohydrate during exercise can result in them becoming almost completely depleted during an intense endurance training session or competition. Recovery from exercise is essential to the training process. Allowing for adequate recovery time ensures you arrive at the next training session in an optimal physiological state to perform. The time taken to recover can also be manipulated by good nutritional strategies. Research has concluded that when muscle glycogen is fully resynthesised post exercise, time to exhaustion (how long you can sustain exercise for) is significantly improved. Ensuring carbohydrate is fully replenished post exercise becomes of paramount importance during periods of high training loads or when exercising across multiple days. Consuming rich, lean sources of carbohydrates and proteins can promote the replenishment of muscle glycogen (the body’s store of carbohydrate) and enhance training adaptation by ensuing there is sufficient availability of free circulating proteins required for muscular and cellular repair and reconstruction by stimulating muscle protein synthesis factors. Our 3:1 SNAQ Breakfast also contains 25g of premium quality vegetarian protein with an extensive amino acid range. 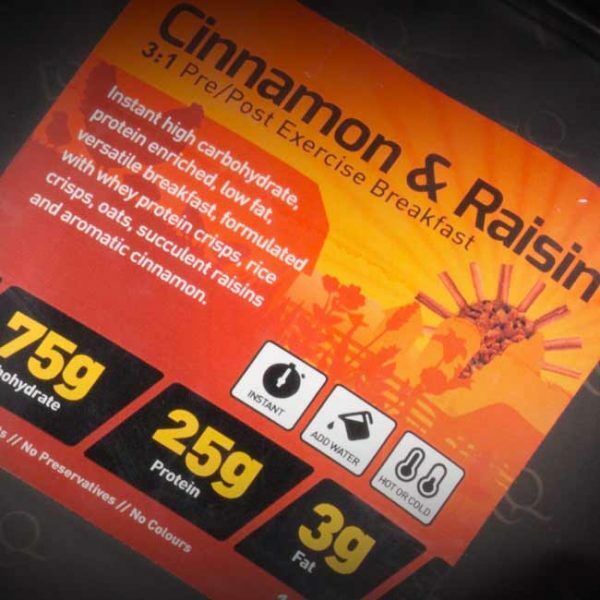 The extremely low fat content of these breakfasts ensures that both carbohydrate and protein are delivered quickly and efficiently to the blood, optimising the supply of ‘useful’ calories. Immediately after heavy exercise, we would always recommend the consumption of TORQ Recovery Drink, due to the rapid absorption of TORQ’s multi-transportable carbohydrates found within TORQ Recovery and other nutrients unique to the product like Ribose and Glutamine. 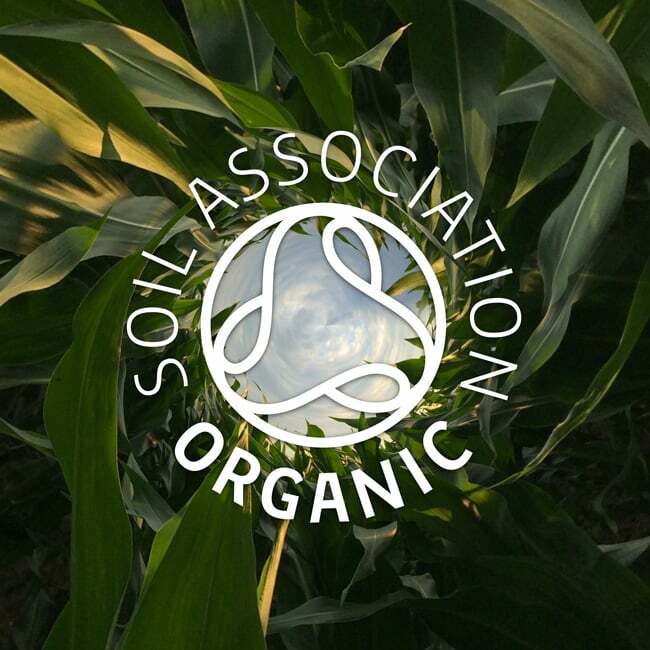 However, in the hours following exercise it is important that you continue the recovery process by consuming nutritious, balanced foods and our 3:1 SNAQ Breakfasts and 3:1 SNAQ Meals provide an exceptionally effective method of ensuring the optimum quality and quantity of nutrients consumed. During lower exercise loads, our 3:1 SNAQ Breakfasts work extremely effectively as a recovery intervention in their own right if consumed swiftly after exercise, negating the need for a recovery drink altogether. Ingredients: Oatflakes (24.2%), Raisins (22.6%), Skimmed Milk Powder (16.1%), Whey Protein Crisps (Whey Protein Isolate Powder, Rice flour, Soya lecithin) (15.3%), Maltodextrin (11.7%), Rice Crisps (Rice, Sugar, Salt, Barley, Malt Extract, Iron, Niacin, Pantothenic Acid, Riboflavin, Vitamin B6, Thiamin, Folic Acid, Vitamin D, Vitamin B12) (6.9%), Whey Protein Concentrate (3.2%). Allergy Information: For allergens please refer to ingredients in bold. Contains Milk, Soya snd Gluten. 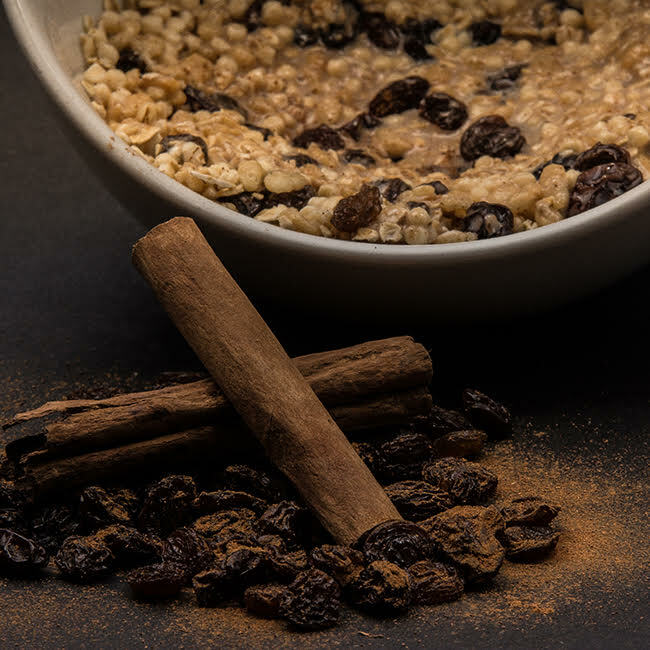 Ingredients: Oatflakes (24%), Raisins (22.5%), Skimmed Milk Powder (16%), Whey Protein Crisps (Whey Protein Isolate Powder, Rice flour, Soya lecithin) (15%), Maltodextrin (12%), Rice Crisps (Rice, Sugar, Salt, Barley, Malt Extract, Iron, Niacin, Pantothenic Acid, Riboflavin, Vitamin B6, Thiamin, Folic Acid, Vitamin D, Vitamin B12) (7%), Whey Protein Concentrate (3%), Cinnamon (0.5%). Ingredients: Oatflakes (25%), Whey Protein Crisps (Whey Protein Isolate Powder, Rice flour, Soya lecithin) (16%), Maltodextrin (12%), Boyega Banana (Boyega banana, Brown Rice Flour, Sunflower Oil) (9.9%), Amelie Mango (Mango, Water, Sunflower Oil) (9.9%), Banana Mango Powder (Skimmed Milk Powder, Maltodextrin, Fructose, L-Glutamine, Whey Protein Isolate, D-Ribose, Thickener (Tara Gum), Natural Flavouring, Vitamin & Mineral Mix) (8.3%), Skimmed Milk Powder (8%), Rice Crisps (Rice, Sugar, Salt, Barley, Malt Extract, Iron, Niacin, Pantothenic Acid, Riboflavin, Vitamin B6, Thiamin, Folic Acid, Vitamin D, Vitamin B12) (7%), Whey Protein Concentrate (5.5%).